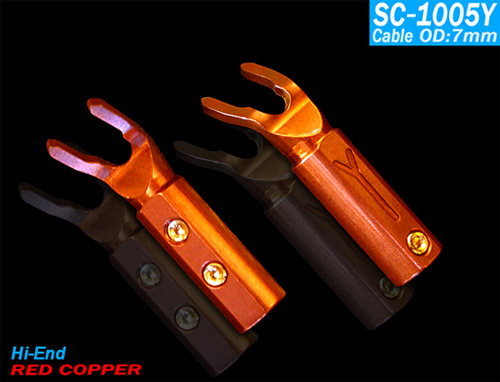 YARBO 100% high standard copper Y-type one-piece, three-screw cable structure is more stable, No. 1 sealed anti-oxidation and noise of the transparent coating and 2 plating 24K 5μ thick gold two options. 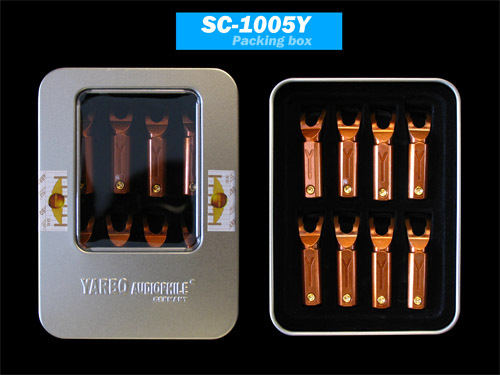 The company to protect the interests of consumers, <YARBO AUDIOPHILE> Jubao full range of original products, has been genuine logo and packaging seal to verify the authenticity of the same time in the purchase of the original color seal to be intact to ensure genuine Licensed, only by the Accor company quality assurance and after-sales service.